The group originated in 2000 in Prague as a trio (piano, double-bass and drums) with Mexican pianist Mark Anderud, a collaboration that reached its height with the recording of Trio '02. The CD was determined by Harmonie magazine as “The best Czech jazz record of 2002.” Summer 2004 gave birth to another CD, Keporkak, which received the “Tip of magazine Harmonie,” the magazine’s highest ranking. The trio performs regularly in Prague's many jazz clubs, as well as throughout the Czech Republic and abroad. 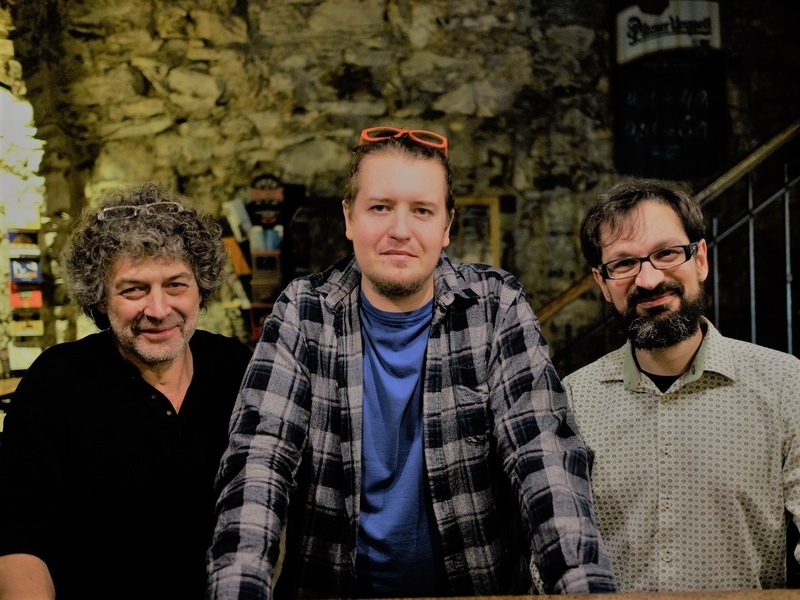 Since autumn 2018, the trio has been performing with a new lineup:Vít Švec – db; Vít Pospíšil – p; Michael Nosek – dr. Their repertoire includes both original compositions and works by H. Hancock, Lyle Mays, Beatles, K. Jarrett, Peter Bernstein, Freddie Hubbard, and others. Admission: seating CZK 250, standing CZK 150. Seats reservation is possible only if you buy a ticket. Thank you for understanding.